People is Australia's largest specialist IT Recruitment firm. We provide resources from Help Desk to CIO. Digital, SAP, Project and all technical skillsets. We have offices in Canberra, Sydney, Melbourne, Brisbane, Adelaide, Perth, Singapore and Hong Kong. SAP skills. Project Resources, a full range of IT skills. 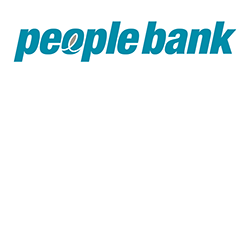 Peoplebank has a data base of Cyber Security specialists. We can provide IT specialists with the full range of Cyber Security skills. Intrusion Detection, Secure Software development, Risk mitigation, Cloud Security, Network Monitoring, Access management, Security Analysis, Data Security and Security audit. A talent pool of circa 515,000 candidates. More than 5,000 candidates placed every year. Asia Pacific network of offices including Adelaide, Brisbane, Canberra, Melbourne, Perth, Sydney, Singapore and Hong Kong. Specialists, not generalists. Our consultants are specialists in IT recruitment - they possess an in-depth knowledge of the technical and behavioural skills required to fill each role. Further to this, our recruitment teams are structured into industry verticals, ensuring that when we receive a brief from a client we have a thorough understanding of the industry and the current market drivers.